As a result of the “New Ways to the Past” project, this publication offers practical examples of teaching, using historical topics, which will merge with the traditional curriculum. The project focused on the development of a teacher guide offering examples for a wide variety of approaches to history teaching, its dissemination and its implemen­ta­tion by in-service train­ing and History Teachers Associations. 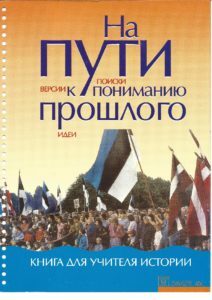 Every history teacher in Estonia and Latvia received a copy of the teacher guide. The new stan­dards for history education in Estonia and Latvia required alternative approaches for history education. In these standards a wide range on content-based criteria were merged with modern approaches. During the project, the participants found out by experience how far it was possible to work with these new guidelines. As a result the standards were evaluated. The project also focused on the integration of minority teachers of history into the History Teachers Associations and their network.